First, place frozen spinach in a strainer in the sink and pour a few cups of boiling water over to wilt the spinach while you are preparing the eggplant. Heat oven to 400 F. Cut off the top of each eggplant and thinly slice length wise for long oval shaped pieces. Brush both sides of the eggplant slices lightly with oil and lay out on a large baking sheet trying not to overlap pieces too much. Bake for 15-20 mins, turning over once, until slices are tender. Repete until all slices are baked and soft. 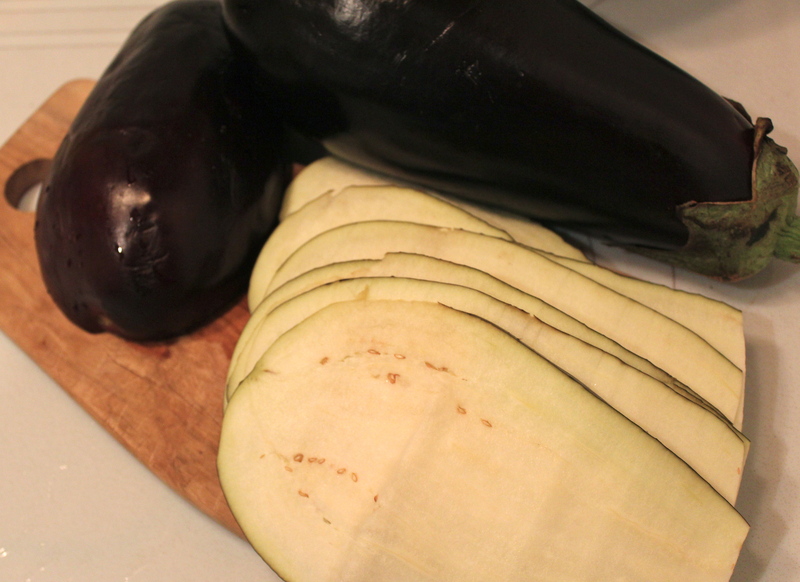 After the eggplant is cut and the first batch is baking, begin to prepare the filling. Squeeze out the excess water from the spinach, so that it is fairly dry, and mix with the ricotta, nutmeg and salt and pepper. As the eggplant batches come out of the oven, place a spoonful of the filling at the end of each slice and roll the eggplant until you have a tube. 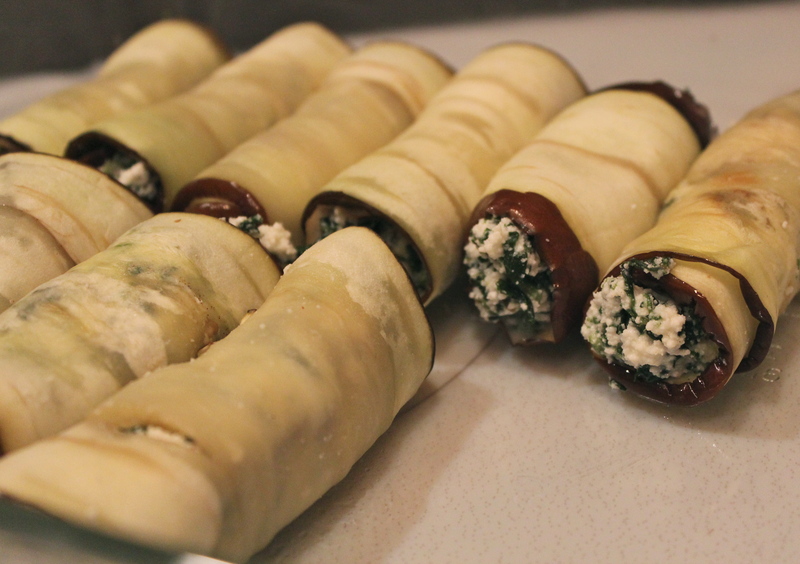 Place each roll, end of the roll down to stop it from unrolling, in a baking dish side by side. 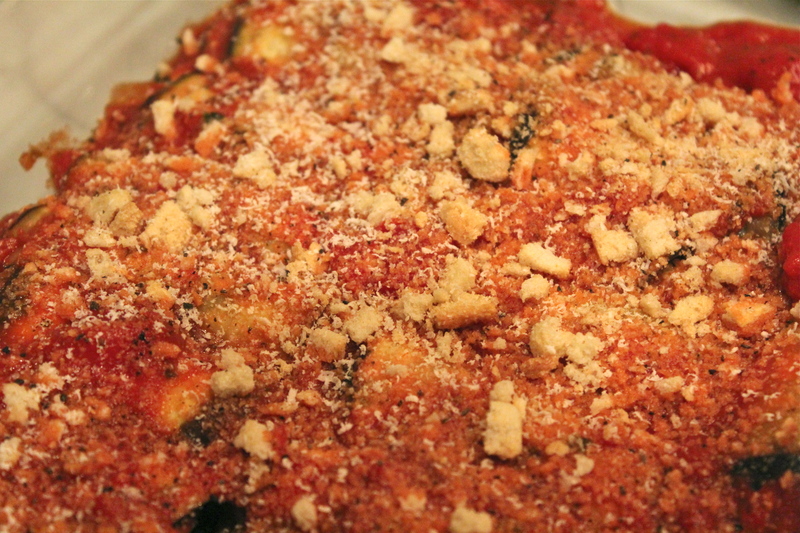 Once the dish is full, pour over tomato sauce and sprinkle with breadcrumbs and cheese, and bake for approximately 30 minutes, covering for the first half.